Competing in the giant slalom she finished 0.3 seconds behind American Mikaela Shiffrin. The New Zealand prospect earned her World Cup finals entry by winning the giant slalom at the junior world championships last month. "Alice skied amazing today, she was attacking both runs,'' Shiffrin said of the runner-up who got her first points-scoring top-30 finish only one week earlier. 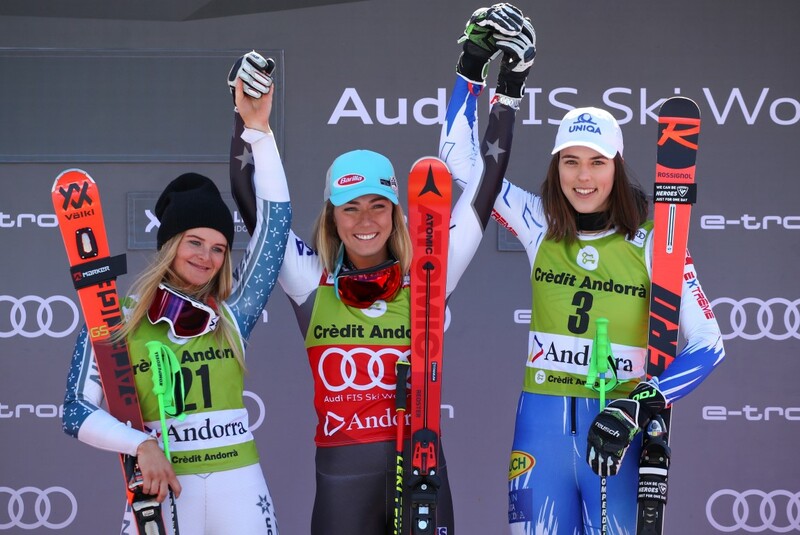 Robinson's first World Cup podium arrives at an age just six months beyond that of Shiffrin when she got her first top-3 finish, in a December 2011 slalom. "It's an amazing feeling,'' Robinson told Swiss broadcaster RTS. Robinson is just 17 and has made huge strides in the past six months.